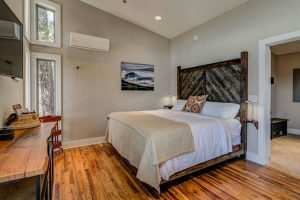 Enjoy privacy and modern comfort while visiting Brevard and Pisgah National Forest! 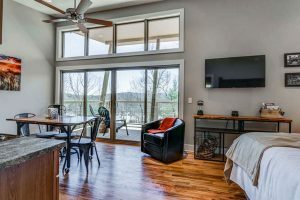 Pilot Cove offers easy access to hiking, biking and outdoor recreation, with trails and picnic areas on-site for guests to enjoy. 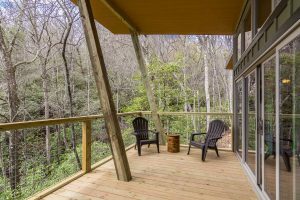 Each luxury cabin is appointed with a full kitchen, private bathroom with walk-in shower, washer/dryer, cable/wifi, and covered deck. 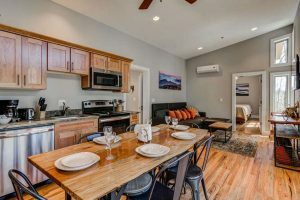 Choose from studio, one bedroom, and two bedroom floor plans to best suit your group’s needs. Contact us today for additional information. 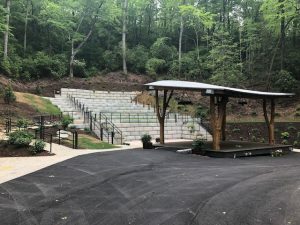 New in 2018, we have just completed our new Amphitheater, beautifully carved into the natural landscape of our mountain property. 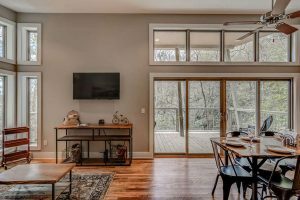 This venue is perfect for intimate gatherings such as weddings, reunions, or just enjoy one of our scheduled events planned for the season, including bluegrass jams and other local musical talent. Give us a call to help you to schedule a custom event experience with us!